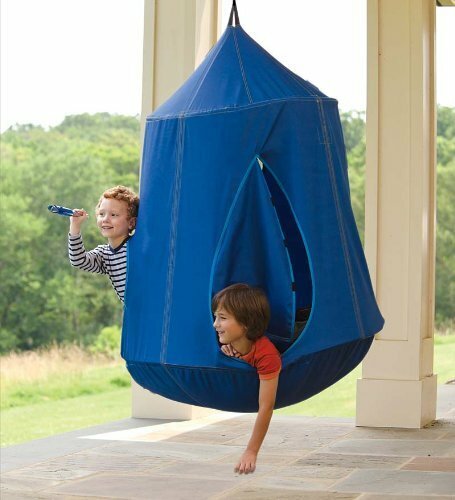 The HugglePod HangOut is a fun way to get kids into hammock relaxation, offering them with a comfortable suspended area in which they can relax and play games. The HugglePod HangOut from Hearthstone is guaranteed to be loved by any youngsters who seek adventure. The HugglePod is great for both indoor and outdoor use. The Huggle pod can be suspended from a beam in the house or from a tree and it can even be used along with a large hammock stand. The HugglePod in blue is available to buy with a 94 inch hammock stand in a combination pack. You can view the combination set on visiting the retailer or read more about it here on our website. 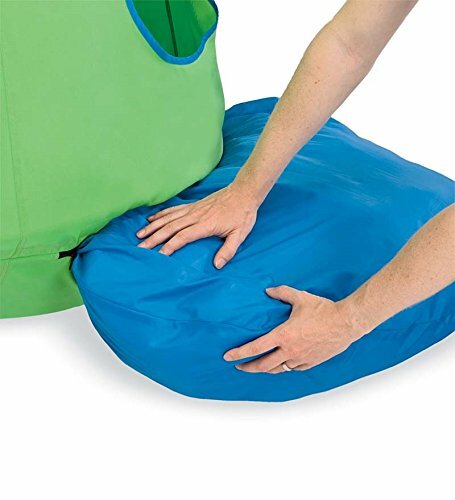 The Hugglepod hangout provides complete comfort for the children inside, thanks to the removable cushion filled with polyfill made from recycled water bottles. The pod is made from durable and heavy duty 100% nylon canvas material. The pod features a Velcro flap door allowing the kids easy entry and exit. The pod also features 3 porthole style windows to further add to the sense of adventure and fun. 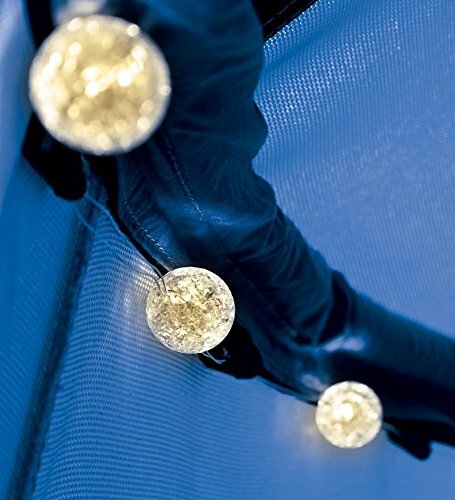 Inside the Hugglepod are a string of battery operated LED lights spread across the inner diameter, perfect for adding a touch of ambiance within. The LED lights require 3 x AA batteries (not included) to operated and are easy to turn on and off via a easy to reach switch. The HugglePod has a reinforced metal ring attached at the top allowing it to be suspended from a number of fixed positions. 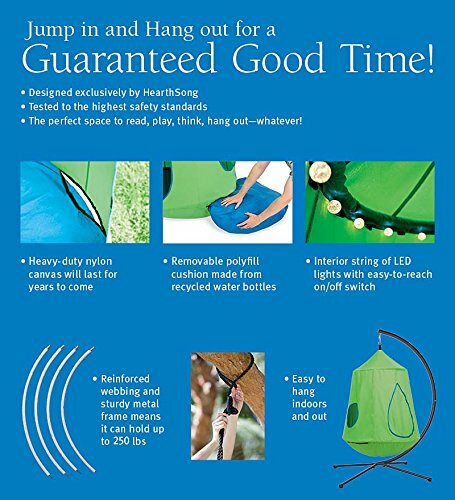 Unfortunately other hanging hardware is not included with the HugglePod, however, the hardware can be purchased from most hardware stores or from large retailers such as Amazon. The blue Hearthstone HugglePod is suitable for children aged 4 and over and able to withstand maximum weights of up to 250 lbs. It is also available in Green and can be bought with a hammock stand included here.